Get more for your money. Stop worrying - Start living. For most Americans buying a home will be the largest purchase they will ever make. At the Keith Wagner Agency we take special care to ensure that your home is insured correctly and to its proper replacement cost. After a loss takes place it is too late to make changes to your coverage. Take the time to sit with one of our licensed staff and have them provide you with a quote. Condo insurance provides coverage for your belongings, liability and also the interior of your condominium. We have policies available for standard condo’s as well as townhomes. A Renter’s Insurance Policy will protect your belongings in the event of loss. It also will provide you with Liability protection and Additional Living Expenses in the event your apartment is not inhabitable due to damage. Auto Insurance is the law in Texas. Driving without insurance is not only illegal, it’s just plain crazy. For most Americans, their car will be their biggest purchase during their life time. Protecting that investment is essential to your family’s financial well being. 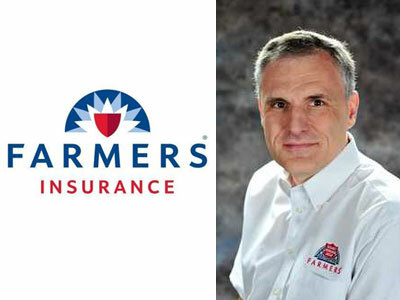 The Farmers Insurance Auto Policy offers many money saving discounts. Protect yourself today. Call for a free quote. Statistics state you are more likely to have a flood than a fire. Most homeowners do not realize that a standard home insurance policy does not cover flooding or mudslides. Many homeowners do not believe they live in a flood zone. Everyone in America lives in a flood zone. Flood insurance is inexpensive and can be written easily. However there is a 30-day waiting period before coverage begins. Don’t wait until it’s too late. Life Insurance is an essential part of planning for your family’s future. The question is simple. If you die today, how will your family be able to continue on? Does your family have the funds to stay in your home? Will your children have the money to attend college? Can they afford to give you a decent funeral? Are you leaving them will a mountain of debt? Don’t leave a mess, leave a legacy. Purchase Life Insurance today. We also offer coverage for all types of Commercial Property. Windstorm policies are available through the Texas Windstorm Insurance Association as well as ICAR. Many business owners do not realize that they need Commercial Auto Insurance. Most believe that their personal auto policy covers them while they are out on the job. However, business use of a private passenger auto is excluded on almost every policy in Texas. Don’t be caught uninsured. Call our office today for a quote. A business is not secure without worker’s compensation protection. A business owner that does not carry this valuable coverage risks unlimited liability. Without coverage, almost any injury can place your business at risk of financial ruin. Worker's Compensation coverage does not have to be expensive and is readily available for most occupation classifications. No one is immune to large liability losses. A small accident can turn into a devastating loss very quickly. Covering your assets with an Umbrella Policy is a low cost way of ensuring that you will be able protect your family and their financial future.